The Executive Suite (The Chukka Suite) offers andalusian living extends onto double width private balconies overlooking the Polo lawns. Enter through the polo hallway into a luxurious lounge and dining area with the added convenience of a guest powder room. These well designed luxurious suites feature an en-suite master bedroom with walk through closet to double vanity counters, rainfall showers, and deep bathtubs with luxury bathroom amenities. 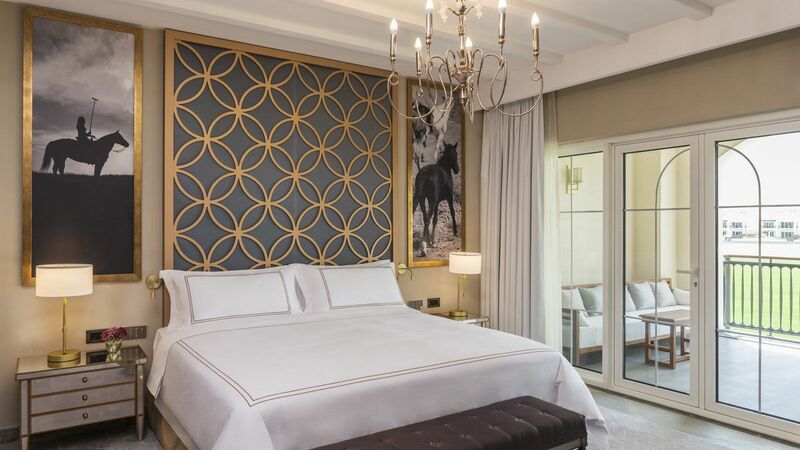 With 67sqm of refined space leading to a private terrace overlooking the polo fields, the Suite is graced with elegant furnishing and signature bedding.